New trailer and poster for the pizza delivery themed horror. Delivering pizza is one of the most notoriously dangerous jobs out there, with criminals phoning in fake orders with the intent of attacking riders and stealing their bikes, cash and of course, pizza. 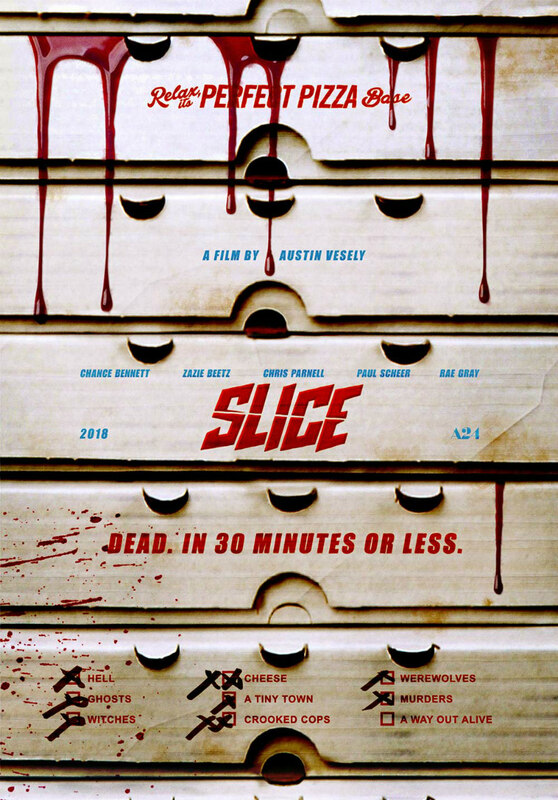 This concept is stretched to the max in director Austin Vesely's horror comedy Slice, in which the pizza deliverers of a small town are being murdered by an unknown killer. The film stars Chance the Rapper, Zazie Beetz, Rae Gray, Paul Scheer and Joe Keery. Slice doesn't have a UK/ROI release date yet, but a new trailer (below) and poster (above) have been released by US distributor A24. 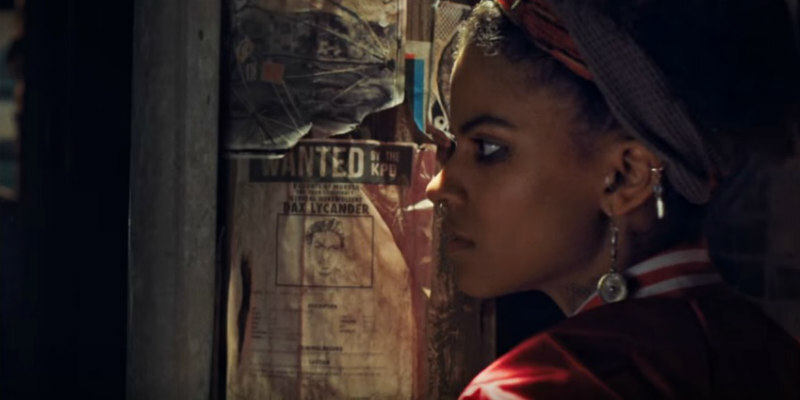 In a spooky small town, when a slew of pizza delivery boys are slain on the job, two daring survivors (Atlanta’s Zazie Beetz and Chance the Rapper in a wild film debut) set out to catch the culprits behind the cryptic crime spree.